Let’s divide the choices into coatings and coverings. Coatings are usually paint and epoxy applied with a roller or brush onto the floor. Coverings are tiles and mats that are set on top of the garage floor. Guardian Garage Floors offers these options and describes them here. Paint and epoxy are easy to confuse as both are generally applied with rollers and brushes. However, they are actually quite different from a chemical and performance standpoint. 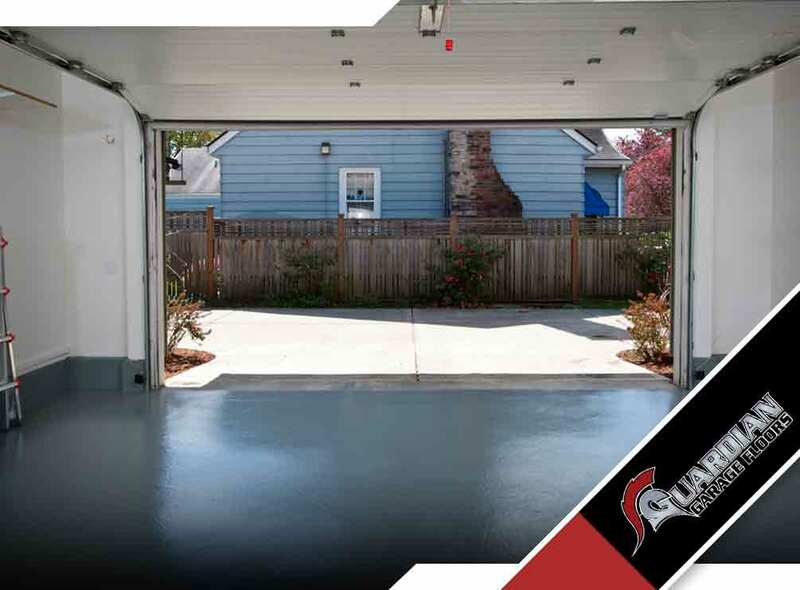 Latex paint will remove stains of oil, grease and rust, giving new life to your garage floor. It is inexpensive and easy to apply. The standard for a tough, good-looking surface on for a garage floor is garage floor epoxy. Preparation and application of epoxy are a bit more complex than paint. To withstand the rigors of routine garage life, you need a product intended for garage floors. We offer several types of garage floor tiles. They include rigid plastic, flexible rubber and plastic and wood composite tiles. The easiest way to cover your garage floor is by rolling out a mat. Garage floor mats come in a variety of styles, colors and materials. Oil and grease stains not only make any garage floor ugly and messy. They can also cause problems with paint and epoxy finishes. Lastly, garage floor coatings and coverings will not end moisture problems. Nor will paints and epoxies last long on concrete that is too wet. So, no matter what type of finish you choose, preparing your floor well is vital. Guardian Garage Floors can give you the perfect garage floors you want. We help homeowners achieve their dream homes, one garage at a time. We serve homeowners in Nashville and its surrounding areas. Call us today at (615) 278-9900. This entry was posted in garage floors and tagged best garage floor, coatings, options.